Those are the bars I'm running. I have not found any issues with adjusting them, nor have I had them get out of adjustment. FWIW, I have been using Ground Control parts on my cars for 15 years. Jay is a BMW enthusiast, a very seasoned race mechanic, and one of the nicest guys I know in the community. I have run every suspension piece they make at some point on my E46 M3, and the same is true for my old E36 M3 and E30 M3. I even ran his camber plates in my old Evo! I wouldn't hesitate to buy any parts from GC. Thank you so much for the great reply! That helps a ton. 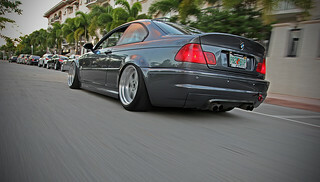 I use a ton of their E46 M3 product offerings as well. The only two parts I was curious about was their RTAB and those control arms specifically. They seem to be the only company using that clamp style with sliding rod ends. I thought it was rather unique. With your assurance, I think I'll be going the same route. Are you running the GC RTABs by any chance? If you are daily driving the car, I'd go with their arm with the bushing instead of the bearing. The heim joint will wear out quickly with lots of street driving, and will put a ton of vibration through the car. 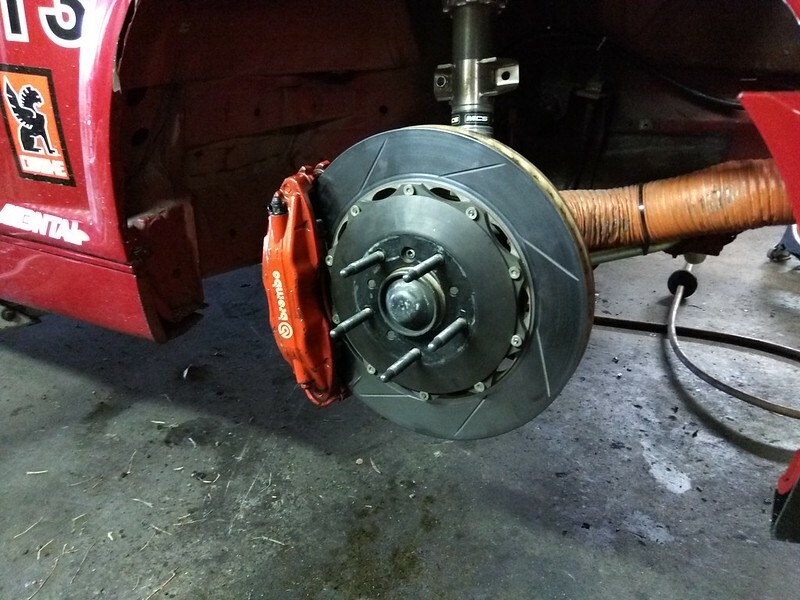 I ran the prepared-legal arms on my car from 2007 and, despite tons of track days and daily driving the car, they were in very good shape when I took them out of the car last year. I'm running their bearings now, but was running their bushings for years. I put them in the same time I did the arms I mention above. 295 is a lot of rubber. Is 2975lbs with fuel and driver included? That's the minimum race weight with driver. Basically it's the weight the car will be when it rolls on to the scales at the end of the race. Well, unfortunately my first race weekend of the year at Sonoma Raceway did not go exactly as I had hoped. The guys at TC Design helped me dial in the car on Friday. 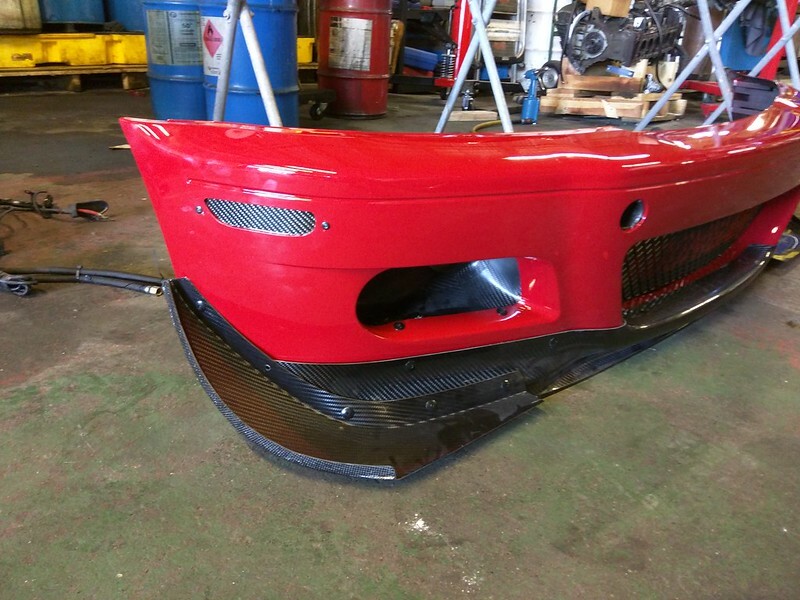 The car gained at least a couple of seconds from the weight reductions and additional tire. Qualifying on Saturday was a debacle, with too many cars on track to get a clean lap and a car into the wall in Turn 10 on the first hot lap, though I converted a mediocre qualifying into a 2nd place finish in the race that afternoon. Come Sunday morning, I had been steadily improving and was confident for a solid result in the 2nd race of the weekend. My improved driving showed in qualifying; I was able to turn a fastest lap of 1:48.7 despite running older tires and having to work my way through traffic. This put me in P3 for the start of the race. 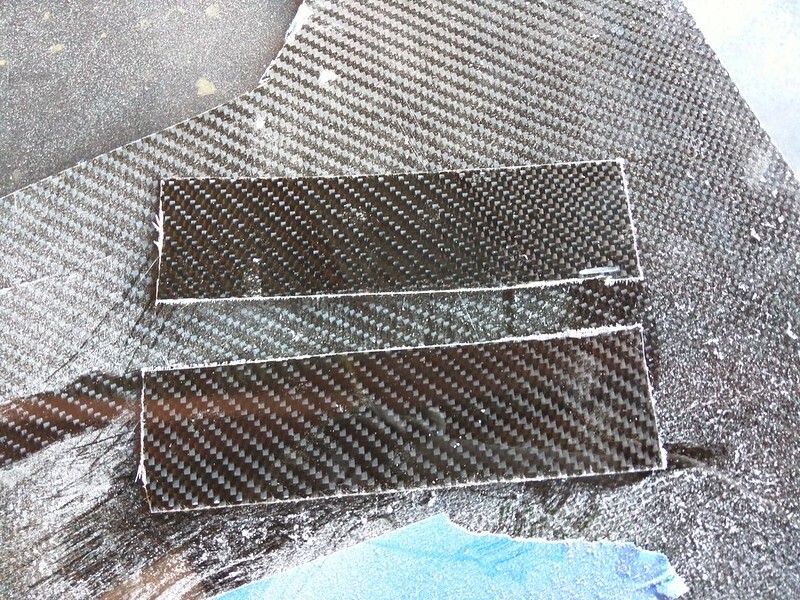 The impact was hard enough to crack the carbon fiber honeycomb splitter, bend the bumper support and shocks, and twist the chassis. 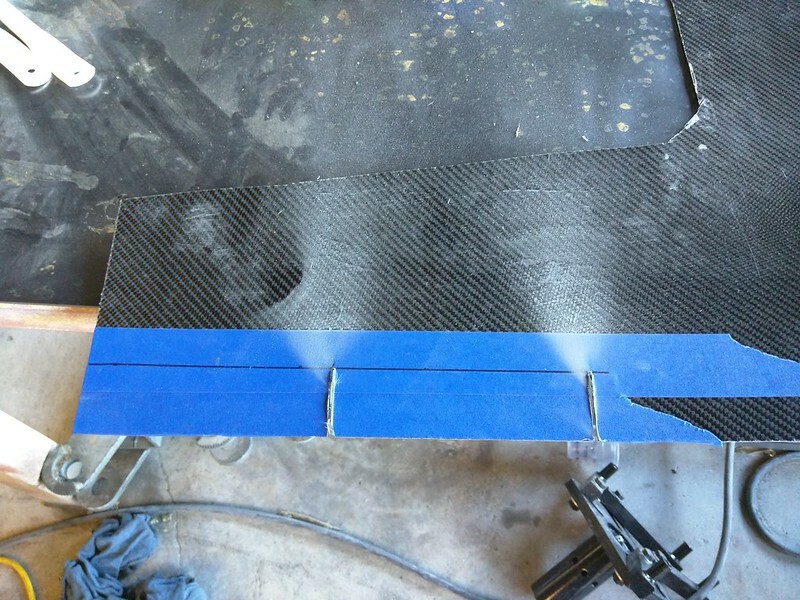 We'll have to straighten the body, replace the bumper assembly, and get a whole lot of new carbon fiber: brake duct, headlight blank, dive plane, skirt, and splitter. 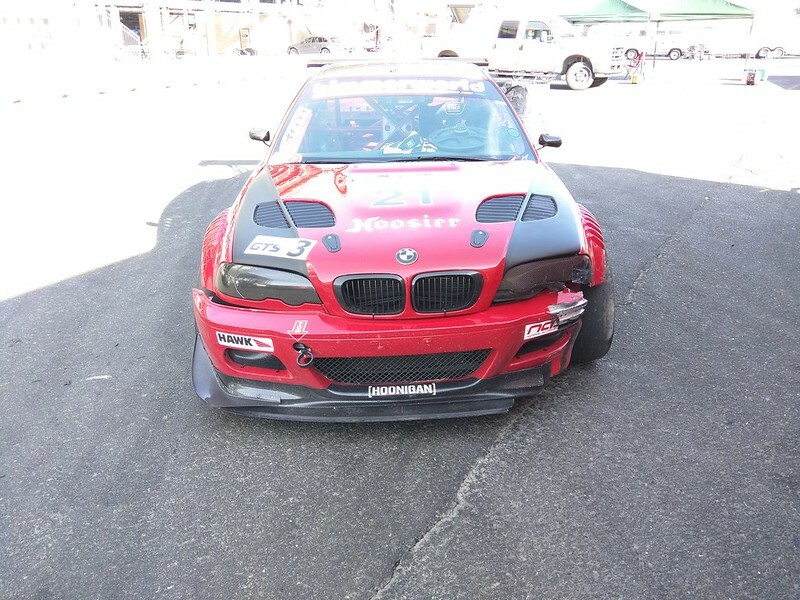 The work is underway, although the splitter is back-ordered from Bimmerworld, so I'll unfortunately miss the 2nd race weekend of the year at Thunderhill. Hopefully she'll be back and better than ever soon enough! Ouch! Tough luck. 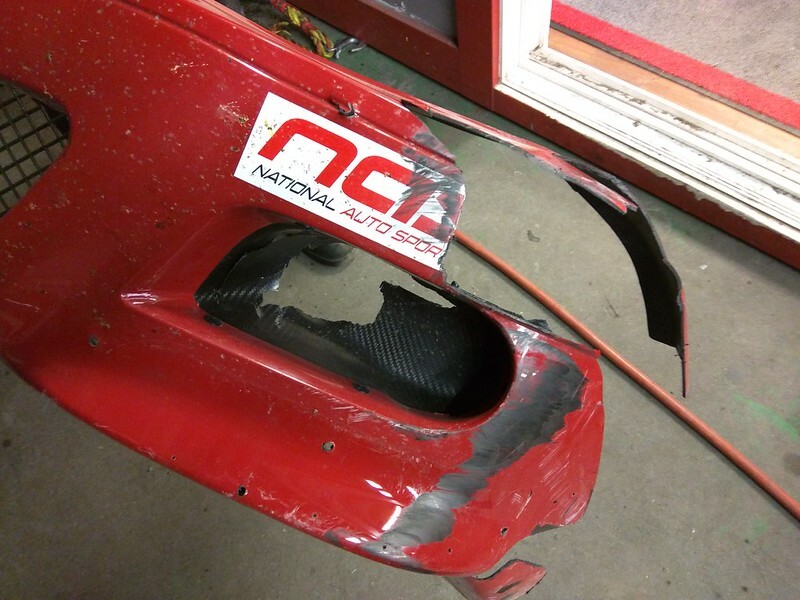 I saw you exiting the track but didnt realize it was damage related. That weekend claimed quite a few of cars. Unfortunately the top 3 cars were all taken out on the start. 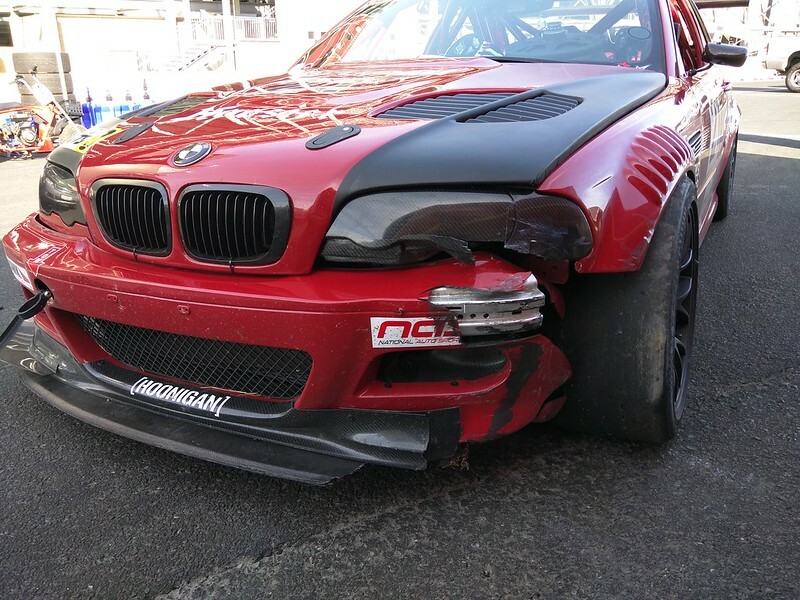 A reminder to even experienced racers to not get too overzealous in the first corner. Unfortunately even with another driver's mistake I took the worst of it. The car will be back together for the next Sonoma Race, and hopefully will be well prepared for the western championship race this summer. How will missing thunderhill play out for nationals? Doesnt west coast nationals require 5 races? My plan is to go down to the Cal Speedway event in May. That should give me enough races. Hate to see what happened, but at least things sound like they'll be back up and running in no time. Plus, I remember your car in "street" trim being pretty darn fast at CalSpeedway. Should work out well for you there. I still can't believe P1-3 got taken out in the first turn of the first lap. That's what you get for qualifying well. Visit Jonathan @ BimmerWorld's homepage! Yikes, sorry to hear about the accident. Look forward to reading this thread again in the future. 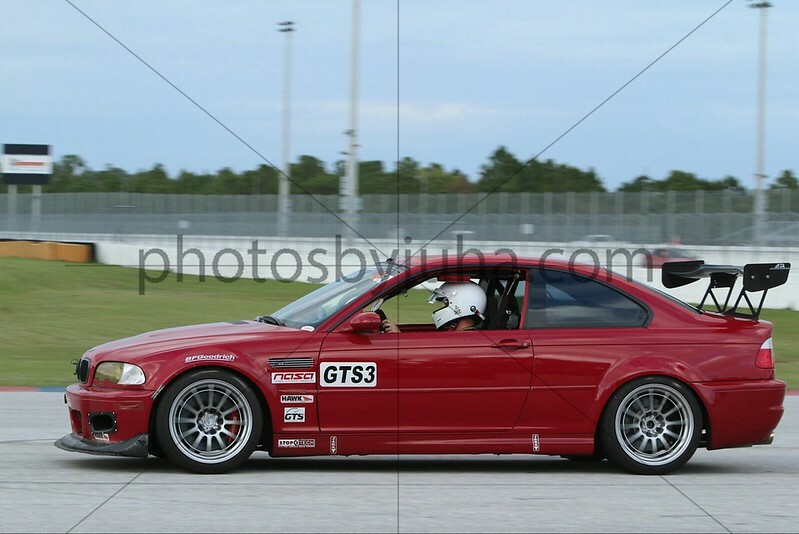 I also have a imola GTS3 M3, I'm in Florida though. Nice! It's a pretty rare color, and yours is the only other I have seen as a racecar. The front end of the M3 is finally back together. Thanks as always to Nate @ Bay Street European in San Rafael, CA for his expert mechanical and fabrication work. 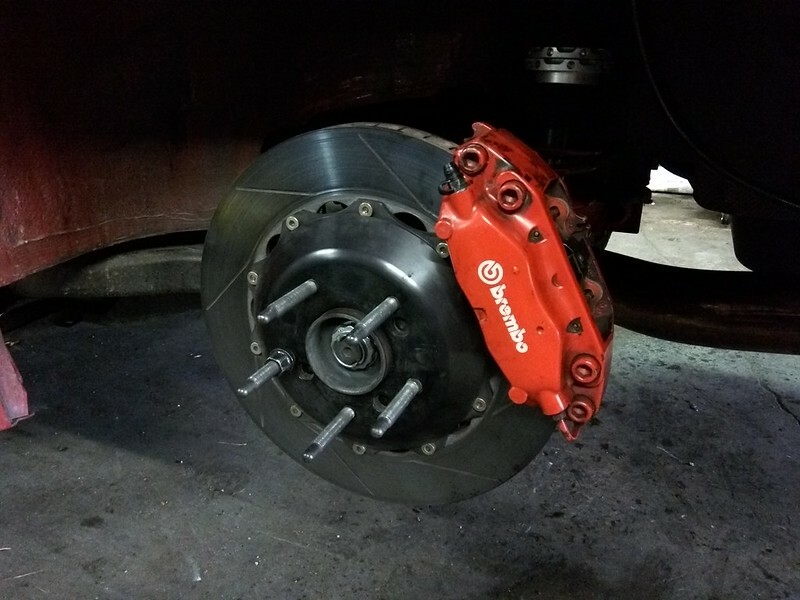 I also was able to pick up a set of Brembos from a fellow racer moving over to a new sponsor. We took the opportunity to install those as well on Friday. The car will be realigned in the next week or so, and then it's on to a shakedown test day at Sonoma Raceway to make sure everything is working as needed. I'll also use that day to get some driver coaching from (the always brilliant) Tony @ TC Design Motorsports. This has been an awesome thread. 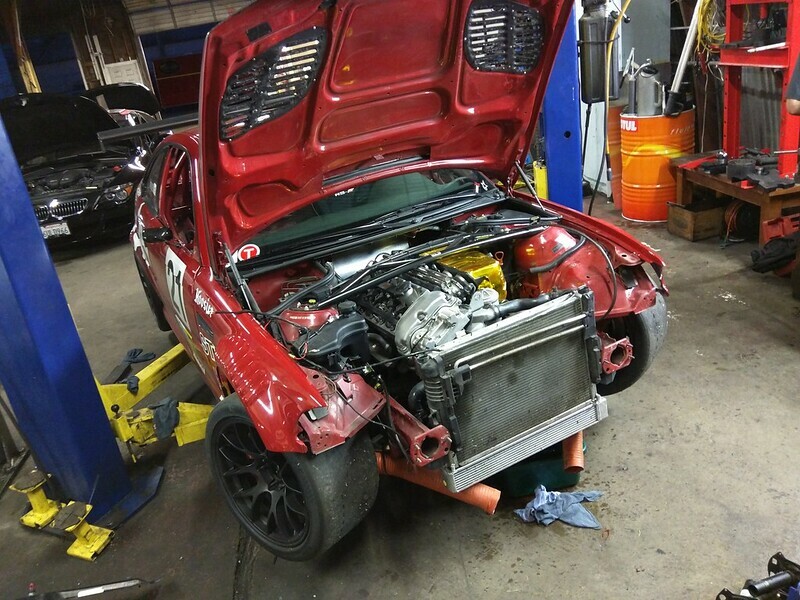 I love seeing race car builds! This is way out of my leaque though (financially). I respect those that can do it. Founding Member of the Canyonrot Club #343! Good stuff! Also good news is they lowered the requirement for nationals. You only need 4 races (instead of 5) and can register before you meet that requirement. Last edited by badfast; 04-27-2015 at 05:16 PM. Hit some hurdles with the re-assembly. The frame rail "walked" its way back out of spec, which completely screwed with the alignment of all of the front end parts. 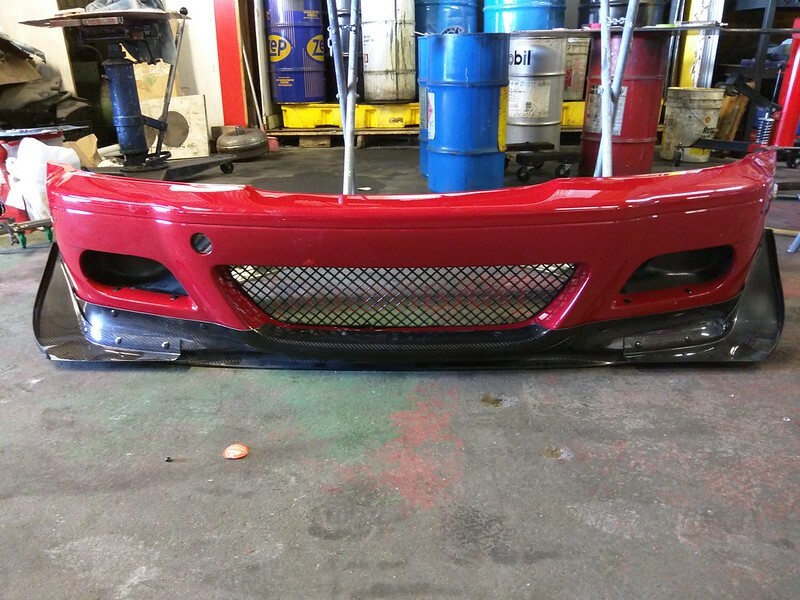 In addition, I tried to use an aftermarket front bumper, but the fitment was total crap. So, back to the drawing board. We put the car back on the frame rack and let it sit overnight which seems to have fixed the alignment issues. 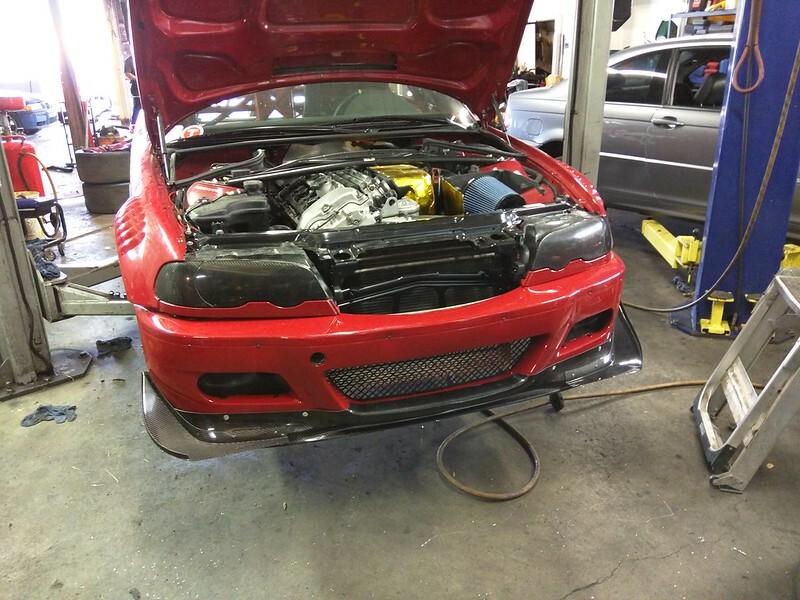 I also sucked it up and bought a new OEM front bumper. OEM bumpers have a hole for side reflectors, so I had to create some simple blanking plates to seal the cut-out. 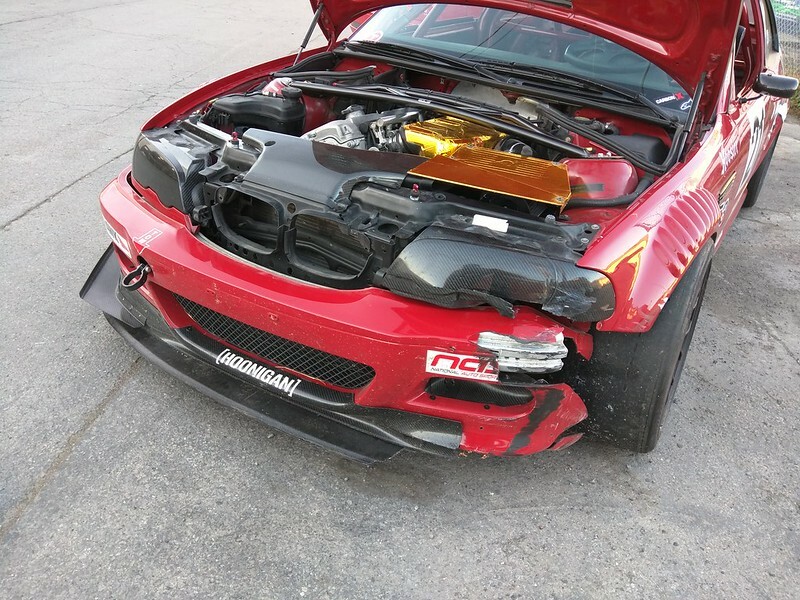 Fully assembled OEM bumper with all of the Bimmerworld aero. 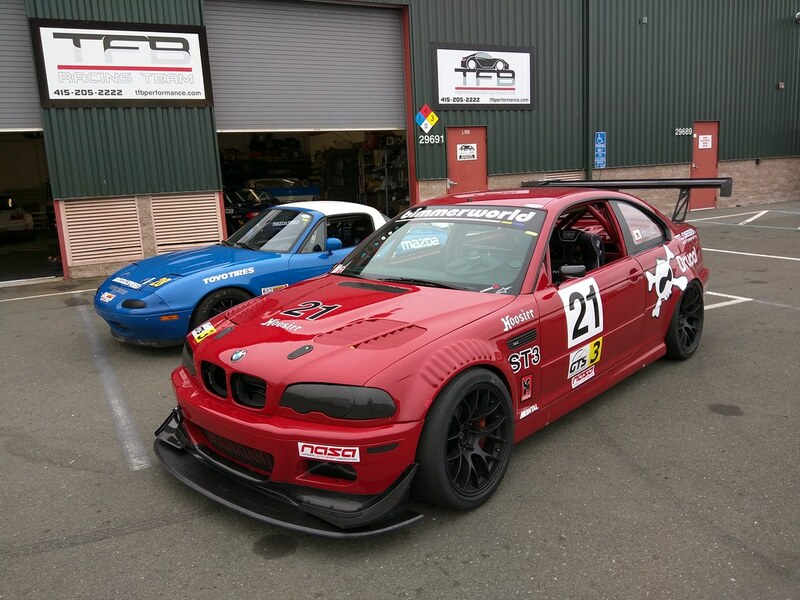 My next race is at Sonoma Raceway in June. I plan to do a test day in the next couple of weeks to make sure the car is healthy. Finally got the body work fully sorted out, and I took the car out for a test day at Sonoma Raceway to make sure she's all good. The guys at TFB Performance aligned the car for me before the day, and helped me sort out a few niggling steering issues the came up after my first session out in the car. The repairs were a success. I was able to run a full simulated race day; a 10-lap "practice" session, a 10-lap "qualifying" session light on fuel, and a 22-lap "race" run at full pace. My fastest laps were a full second faster than my qualifying pace at Sonoma on the weekend I crashed. I even got to share the track with the Flying Lizard R8's and a few 911 RSRs and Cup Cars who were out there testing as well. With everything fully sorted, I'm really looking forward to the next GTS Challenge race!